Isn’t it strange how every garage seems to inevitably pile up with junk, ever so slowly and surely, until it’s completely filled with all manner of clutter and useless items? It seems like, no matter how hard you try to keep it cleaned and maintained, the junk inside just grows, multiplying like a living organism. How does this happen? Who knows. The point is, garages get dirty, and eventually, they need to be cleaned, or even worse…organized. Regrettably, cleaning a garage isn’t fun. Unsurprisingly, digging through endless mounds of stuff, filling up countless bags of trash, and meticulously organizing your things isn’t exactly what one thinks of when they think of a fun day off. What if we told you there’s a better way? What if we told you that you could get your entire garage cleaned and organized, without even having to leave your chair? You’d probably think we were lying, but we’re not. If you call a junk removal service, this oh-so-coveted fantasy can become a reality. 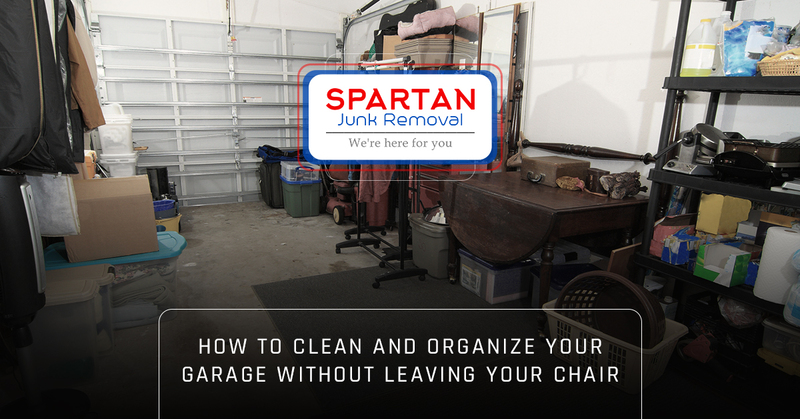 Here are some of the reasons you might want to consider calling Spartan Junk Removal to clean out your garage. One of the most agonizing parts of garage cleaning is sorting through all your stuff, and differentiating between recyclables, trash, or things that are just unwanted. We have a thorough experience of what to do with junk of every variety. When you’re doing the job on your own, it’s easy to misidentify recyclables, to get your piles mixed up, or to just get distracted by other jobs. A professional junk removal team will quickly and expertly streamline this process for you. Cleaning your garage is no joke. You think you can completely clean that beast out in a day? Think again. While we can’t make blanket statements about the definitive amount of time that garage cleaning takes, we know from experience that, for most homeowners, a messy garage is more than one day of work. When you call Spartan Junk Removal, we’ll send over two energetic team members that will be able to get the job done in hours. In fact, it doesn’t really matter how long it would have taken you on your own. The point is, whatever amount of time that might be, our guys will do it in far less. This is a win-win for both parties! We get to serve the people of the Columbia and Baltimore area doing what we specialize in, and you get a long difficult done job done in a fraction of the time it would usually take, with almost no effort on your part. If you’re anything like the average American, you’re probably a busy person with things to do. You likely have a job or own your own business. Maybe you have children to take care of or are deeply invested in hobbies. The bottom line is that you have a life beyond garage cleaning, and you’ll benefit from not having to take a few days of cleaning up, moving things, and constantly bending over. At Spartan Junk Removal, we’ve treated countless clients in the Columbia and Baltimore areas, and we’ve encountered people of all kinds of demographics. 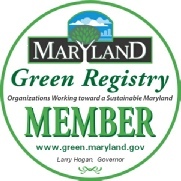 While cleaning a garage isn’t a monumental task for a young, fit, active person, that’s not exactly the only demographic in the greater Maryland area. There are elderly folks, exhausted parents, disabled people, and so on. Even young and fit and active people get tired…and we can’t blame you for not wanting to spend your energy cleaning and organizing your garage. That’s why we’re here! Want to pull up a chair while we take care of your garage for you? No problem at all! Sometimes, it’s worth calling professionals, and we’ll gladly do the job. People often ask us what it means to be a junk removal service. Simple things, like cleaning out people’s garages is one of the answers! While we offer a variety of services, it’s always a great feeling being able to stop at a local home in Columbia or Baltimore, and help someone with a chore that’s usually time consuming and exhausting. We’re happy to spend the time and physical effort so that you don’t have to! If you’ve got a nasty garage that needs some work, contact us today for junk removal and garage cleaning services!